The multi-tiered white cake is a beautiful centerpiece at a wedding venue, and can be traced all the way back to Medieval times. However, it’s not the only option for your wedding day dessert. If you’re looking to add a creative twist to the classic cake at the reception, the event planning team at The Grand at 1600 in Lakewood, NJ, shares a few modern alternatives that everyone will enjoy. Doughnut holes are decadent and moist and come in a variety of flavors. They can also be covered with a delicate glaze or powdered sugar for a formal dessert. A doughnut hole tower is the perfect alternative to a traditional cake. You can adorn it with flowers or the classic his and her cake toppers. 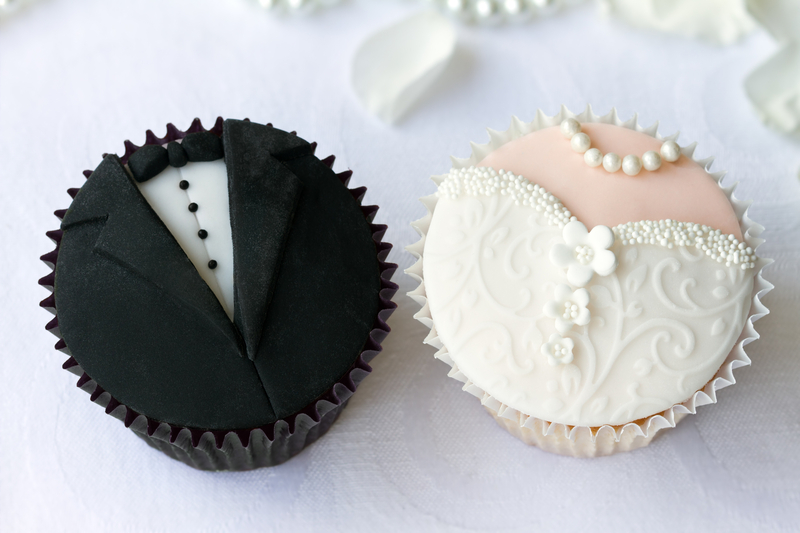 Cupcakes are a trendy, modern dessert; they come in the perfect serving size, and your wedding venue can decorate them with personalized toppers and tinsel. If you still want to cut into a cake on your wedding day, make a one-tiered cake as the top layer and use beautiful cupcakes as the other layers below. For a European alternative, say “oui” to a crepe wedding cake. Crepes are thin pancakes that you can layer with your choice of icing, mascarpone crème, or other confectionary filling. Adorn with strawberries, floral arrangements, or traditional toppers for a beautiful and delicate treat. The first step to planning your special day is finding the perfect wedding venue. The Grand at 1600 is the premier event venue in Lakewood. They have hosted weddings, bar and bat-mitzvahs, and other private celebrations. They boast a spacious Grand Ballroom, two cocktail rooms, and a beautiful courtyard, along with talented planners who will ensure your big day is a success. Call (732) 364-6400 to schedule a consultation or visit their website to learn more about the event hall.